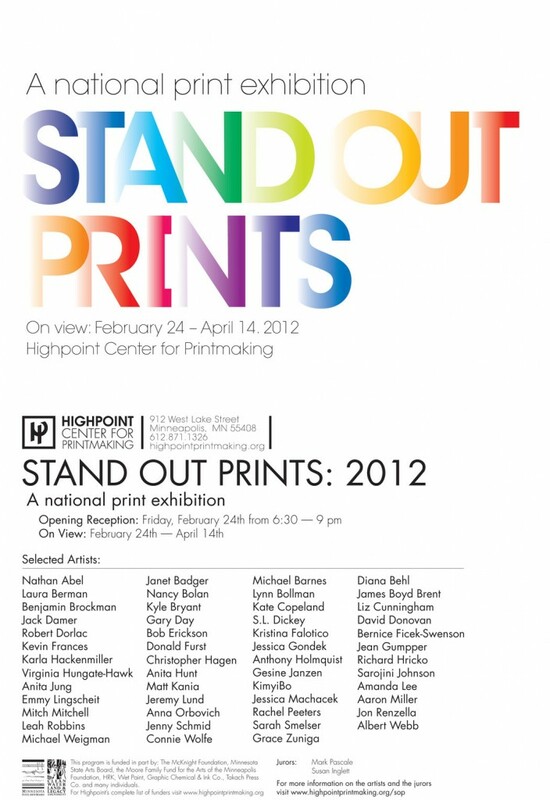 Look for my print in the Highpoint Center for Printmaking show Stand Out Prints opening this Friday in Minneapolis. It’s an honor to be in a show with so many excellent people. There are some artists in this show that I have admired for quite a while – such a treat to be amongst them.